One of the goals of MESG is letting people to create applications without coding a single line of code! Before digging into this idea, let’s go a little back in the history where computers and internet are just yet evolving. From the beginning of early times we never had a way of creating reusable services that communicates with each other with a standardized communication protocol. Because of this negative adoption from back, even if we use microservices in today’s world, they have to be refactored each time to be compatible with just another service communication protocol used in new projects. And this a great waste on human resources! MESG solves this problem by defining a common communication protocol for services. This way, it’s now possible to use your existent services in totally different projects without a need of changing your source code. MESG is an event-oriented framework where applications only needs to react to various events and task results published by services to execute another chain of tasks from various services. We connect MESG services by creating applications which defines the way how data should flow between services. Currently, we do this by using application clients in any programming language. With the workflow files that’s now being introduced within this proposal, creating applications will be done in the most simplistic way just by creating a configuration file in yaml, without using an actual programming language! You can even create this workflow files via a user interface where you connect some data dots from various services that exists in the market and it can create a workflow.yaml for you! Workflow files is a place where we define our constants, secrets, service ids that we want to use and the way how event data and task results should be piped to execution of tasks in these services. As mentioned before, workflow files are all about describing how your data should flow between services. This is why we treat them as just configuration files. You don’t need an actual programming language to create your applications. In this proposal we need to discuss about the syntax of workflow files and how they should managed by core. As @Anthony suggested, workflow files doesn’t required to be run inside consumers’ computers. Instead they can directly run inside core (actually now as a system service). Since core can be run in a decentralized way as multiple peers, applications also can benefit from this and get load balanced naturally. We’re going to create a new system service for core to manage and run workflows. @Anthony suggested before to listen all events and results from all services that connected to core for once and then react to these data by following the rules defined inside workflow files to execute corresponding tasks. But doing it this way instead of figuring out service ids directly from workflows introduces unnecessary complexity. Because this requires to add more tasks to WSS and watch services connected to core to get live service id events which may require some code changes on core itself too. And I cannot see any pros of doing it that way. So instead, we can figure out the service ids directly from the workflow files when they’re created and listen events and results on those services to make task executions. Create the WSS to manage and run all workflows. Create the WSS to manage all workflows but run them as different services like we do with MESG services. This is a good for isolation of workflows and better for scaling of different types of workflows. Activates workflowLog event for a workflow. All previous logs messages will be sent in the first workflowLog event. Deactivates workflowLog event for a workflow. We’ll add new gRPC APIs to coreapi for validating, creating, updating, removing, logging, inspecting and listing workflows. Each workflow can get a unique name defined by dev and have a second unique id (hash) calculated from workflow file. This way we’ll be able to identify them while updating, logging, inspecting and removing. Optional name used as a unique id for workflow. Validates workflow file’s syntax, existence of service’s that defined with their ids, existence of events, results, tasks and validations of their inputs/outputs for these services. This is a development mode. It creates and logs the workflow outputs to std. It’ll run until it’s canceled and workflow will be removed when quitting the command. Update any content of workflow. See info about workflow like it’s name, description, services, configs, events, results, tasks etc. See the received event, result count and successful/failed execution counts. List of workflows and their received event, result count and successful/failed execution counts. Stop running workflow and completely remove it from core. See the live log stream of workflow. Each workflow log will start with workflow name and description printed first. And all events, results and successful/unsuccessful task executions and their input datas will appear. Creates an empty workflow file via a terminal dialog to get inputs from user for workflow name, description, service ids etc. or defaults will be used where it’s possible. We can have a custom syntax to create workflow configurations but for now it’s too complicated to have and we currently don’t know if we really need it. So I think, we should stick with an already well know language like yml at first as proposed before. If you’d like to test this service please install prototype workflow cli first and then deploy webhook and discord invite services. Update the service ids, email & SendGrid api key configuration. After that run your workflow with $ mesg-workflow run discord-invites-workflow.yml and watch the logs. You’ll receive an email when you run the curl command in the description! Send discord invites to your fellows. Note that schema can be slightly different from the sample service above because of the improvements. # accessed via $services variable. # accessed via $configs variable. # they can be in any type. # *data* can be set directly or it can be set from $services, $configs and $event. # $event is a special run time variable where it is filled with event info. # $event consists of $event.key and $event.data. # use dot notation to access individual fields of $event.data. # associate tags with executions. # tags can be set directly or it can be set from $services, $configs and $event. # *data* can be set directly or it can be set from $services, $configs and $result. # $result is a special run time variable where it is filled with result info. # $result consists of $result.key, $result.data, $result.taskKey and $result.executionTags. # use dot notation to access individual fields of $result.data. # tags can be set directly or it can be set from $services, $configs and $result. Which syntax we’re gonna pick? @Anthony’s or the other one we already have an example for or something else? How do you feel about these new gRPC APIs and CLI commands? Do we want to be able to execute multiple tasks on an event or result? We already have good syntax for this one, please check the execute attr in the yaml file, it can be naturally extended. How we should implement filters for events and results? Should we introduce comparison primitives like eq, gte for comparing values? Or should we avoid having a filtering syntax for a simpler use for non-programmers and create a special service that does these comparisations. For example, when an event or result arrived, it’s data can be forwarded to a special service to decide whether the actual task execution should be made or not. If it should, service can fire an event with the data for starting the task execution but this kinda use can add more complexity to event-oriented programming. How we should make it possible to compose multiple data together to create new values to be used as task inputs or execution tags. This is a similar question with having the filters. If we want to dynamically create new values from $event, $result, $services, $config or/and static values, what kind of primitives we should introduce to this syntax or do this kinda stuff with special services? What do you think about the architecture/tasks/events of WSS? Should we watch events, results from all services in core for once or go more logicless and get service ids from workflows on creation and listen events & results dynamically as described there. Other question is, should we make WSS to manage and run all workflows or just leave the managing part on WSS and run workflows as separate docker services. Which way to go? Any other thing in your mind, let’s share ideas. I like your syntax, it’s really close to the api that we have right now and this is something nice. I have one concern though. We need in the future to be able to chain the executions. In my first proposition I was thinking to flat all the executions and resolve the dependencies. I’m afraid with your syntax it might be hard to chain executions. With something like that we could even flatten all the executions and resolve them based on the data they need. This might be too much to implement for now but I just want to have a syntax that we will easily be able to migrate to adopt that. All good for that, I would just remove the update part, let’s keep it simple for now, we delete and create a new one like the services. We can have an id system on top of that later on to mimic an update. Totally necessary, it’s kind of related to my first point but I think here you are more talking about executing them all in parallel and not chained which is something that we should cover too but we will have the same problems. The execution can be extended but the mapping might be totally different and this is why I think we should group the mapping inside the execution part. This one is tricky, especially if we want something simple. We definitely need a filter system, filters that for me should be done based on all the data from the execution (data, tag, outputKey) but also the one from the parent execution (in case of nested executions). For the kind of filters at least the equal is necessary and all the other primitives should be perfect but for now, like you propose we can use services for that. Let’s make sure that we have something where we will be able to add the filters but we can now have special services for that. I think we should have something always reacting from event’s services. For now we can have something simple and listen for the api that we already have based on the workflow informations, basically what you’ve already did. But we should have all these workflow informations in a database and for every events request this database to see if we need to execute a task. This way we remove all “listening” part that is not really scalable and hard to manage. In conclusion, it’s really nice and for now we can use the system of listeners but we should keep in mind that this will evolve with a database (even distributed database) and also the syntax needs to be “future friendly”. I really think we should name the executions and do the processing inside these executions, that way we will be really flexible but I might be biased by my previous researches. Definitely open to rethink that. Because definition of workflow is static resouces and everthing else is more dynamic one. Except that everything is ok.
How we should make it possible to compose multiple data together to create new values to be used as task inputs or execution tags. See new proposition (triggers.when.outputs). Also, we should avoid manipulate outputs because we will need to create kind of DML for json (I haven’t seen a successful project for it). What do you think about the architecture/tasks/events of WSS? First let’s set up some proposition on workflow file, then we could talk about the arch of it. # triggers is a list of all services and its events mesg will listeing for. description: "email with topic and message"
# when filters the service events. - /^\w+$/ # maybe regexp? description: "email with topic only"
description: "send to slack slack"
you can chain triggers and actions (althouth you can’t create multiple chain - on a do b then c because such chain requires keeping the state). It’s good that if we can reduce nested executions for readability. In the functionality side, they all seem the same. We need be sure to have a nice syntax for serial(dependent) & parallel task executions. I’m throwing an idea by extending the original syntax that I provided to cover both parallel and serial task executions without a nested syntax. I’m introducing the new dependsOn field and named executions pattern inspired from @Anthony’s. @Anthony I think you mentioned about having map inside execution, this makes sense and it’s needed to make it possible doing multiple task executions with different input data. The below example also adopts that part. And there is an example in the bottom about wildcard use for listening all events or results that I forgot about mentioning in the first post. # on any other executions. # execution2 to complete with resultY. # this execution waits execution3 to complete with resultX. # listens all results from serviceB. And there can be multiple executions that waits for the same execution to complete with the same or different output keys. There is also a big range of possibilities for doing dependent executions with this kind of syntax. WSS will analyse all the dependent executions and run them in serial or parallel depending on how they’re defined and what executions that each execution depends on. @krhubert Yes, I agree that we may need to provide a command to user for showing the underlying workflow.yml. It’d be nice . I’m thinking about adding mongodb as dependency to WSS so we can query workflows depending on incoming event and results to execute tasks. Note that, we may not need this at this time and only query saved workflows on startup and keep their definitions in memory. We’ll see this by time while experimenting. I’d like to see how a distributed database will work together with WSS. @Anthony already pointed that we’ll need a distributed database in future so mongodb can be good start and we can always change it in future if needed. I don’t want to use a simple key-value database like LevelDB for workflows because we’ll need some querying. @core team please give feedbacks . Later on, do improvements on syntax, VM that runs workflows and implement remaining cli commands / gRPC apis. This is an another thing that we need to discuss. We need to decide how to deal with disconnected services in order to run workflows stably. What to do if a service cannot be started that a workflow depends on, in the first creation time of the workflow? Should workflow create feature return with an error or create the workflow and try starting and listening on the services within intervals until all of them are responsive? We can still log this process to workflows own log stream for devs to be aware of the life cycle of workflow. I prefer the second way by leaving this management to WSS so it can deal with services under the hood instead of failing on workflow creation. What to do if a service is got disconnected that a workflow depends on? This service could be the service that tasks are executed on or can be a service that listening results and events on it. There can be several services that a workflow depends on and some or all of them can be disconnected/unresponsive. In this case, workflow cycle will not proceed properly because of the disconnected services. For example a task may be able to get executed after an event received from a service but some other tasks may not be executed because their services are down or some results or events may not be listened for the same reason. Should we completely pause the execution of a workflow when at least one of the services it depends on is not responsive (I think yes)? In this case workflow can continue after its services are fully responsive again. To make this possible, we need to make sure that we’re keeping workflow’s state (unhandled events, results, inputs/outputs, executed/non-executed tasks etc.) correctly otherwise we can miss some task executions on the way and this can introduce weird behaviours to application. I think WSS should manage all the services like this and have restarting and relistening policies on services. And log any info to workflow’s log stream about the status of services and listening/execution state of workflow. For now we don’t have some kind of registry to map service ids with their Git URLs. Because of that, in workflows, we’re not able to automatically deploy depended services. So, we’re thinking about supporting repo urls and local paths next to service ids in the definition. I really love the idea to have this deployment part directly in the workflow, like that we can just provide the workflow and this install and start everything. We may support configuring services inside workflows as mentioned in another proposal. Here is a proposal for the workflow UI for applications/workflows that will not surcharge the cli / core for now and let us experiment before adding this feature in the core. I remember that we had some ideas about executing tasks on pre-created applications like we do with MESG services. For example, an application can have some tasks/funcs that actually makes various task executions on services under the hood and produces a result. This way it’s possible to create reusable & configurable applications as well. @Anthony can you share your vision for this about how we should implement this feature in workflows? I’m not sure this is a really good thing to do, I think the best is to really keep it simple and if there is tasks for preprocessing or post processing we just put them before and after the task we want. If it’s tasks really independent of the application that needs that for the deploy, they can just create a app that execute a task and then use the deploy api with the result but in that case we still don’t need any pre/post processing. 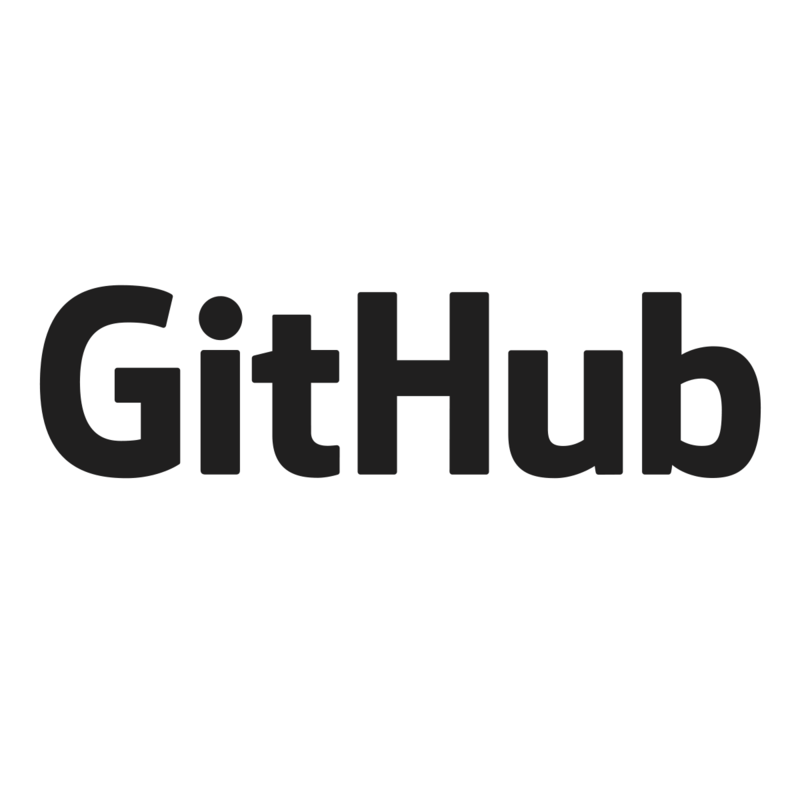 I’ve been looking at Github workflows, the config behind Github Actions. You can actually create your own tasks based on docker with the connections you want, that might be a good source of inspiration. Get started with one of our guides, or jump straight into the API documentation. To let you know it looks like hcl syntax. For syntax we need to first decide if we want to use yaml or hcl (json dosen’t have comment and it’s unreadable, toml has it’s own quirk). Other languages are not so popular. HCL seems to be a much more human readable format comparing to YML. It also supports arithmetics and registering custom funcs to work with data. Creating custom funcs is very useful for us. Specially, creating a func to handle data we get from events, task results and to create input data for task executions is very useful. We can create some useful funcs to easily work with service data inside workflows. And, of course, we can always use MESG services to work with data by using services like objects, logic but experimenting with HCL’s funcs and solving this problem without going to network might be nicer. Having arithmetics and dealing with data by using custom funcs directly inside HCL, might decrease the complexity of workflow which can make it much more readable. Because, we’ll not be making lots of additional task executions to just handle the data. Working with data in workflows is very essential and is a big part of workflow logic but if it becomes too hard to manage, it’ll distract developer’s focus while creating workflows. So, we should be providing the simplest solutions. See index.js of application-marketplace to get an idea about how objects & logic services are used in the marketplace application. HCL also supports JSON. So converting it to JSON and YML is very easy but supporting these two next to HCL will require a bit more work because we need to create a small runtime to interpret arithmetics and custom funcs. But supporting JSON and YML can be discussed later. I think that they’re not necessary for now.